An entire range of portfolio of the Motorola devices will be offered in the Moto Hub stores, including those which are online exclusives like Moto X4 smartphones and Moto Mods, magnetically attachable modules that transform the smartphone into a TV projector, a powerful speaker or camera. 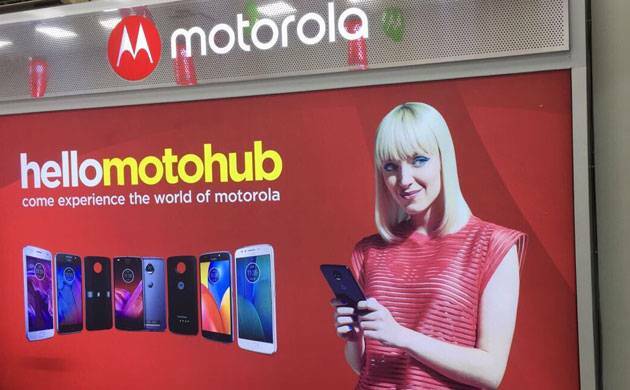 Lenovo-owned Motorola on Thursday announced that it will open 50 motohubs stores in Delhi by the end of January. This will be the first phase of their retail step. “More than two-thirds of the smartphone customers in the country buy devices at retail stores. Moto Hub addresses this need by offering a complete platform to interact, engage and purchase,” he added. In the next phase, the company plans to expand the Moto Hub experience in over 100 cities. The Moto Hubs will also offer other accessories like on-ear and in-ear headphones, Moto shells and mobile covers. Currently, the company has 18 exclusive Moto Hubs stores in the capital and 155 across the country. Popular consumer hangout areas will be covered and Moto Hubs will be set up in these areas. The company recently partnered with Poorvika Mobiles across 43 cities in Tamil Nadu, Pondicherry and Karnataka, and with Big C and Lot Mobile Store across 55 cities in Andhra Pradesh and Telangana to offer offline access to consumers.